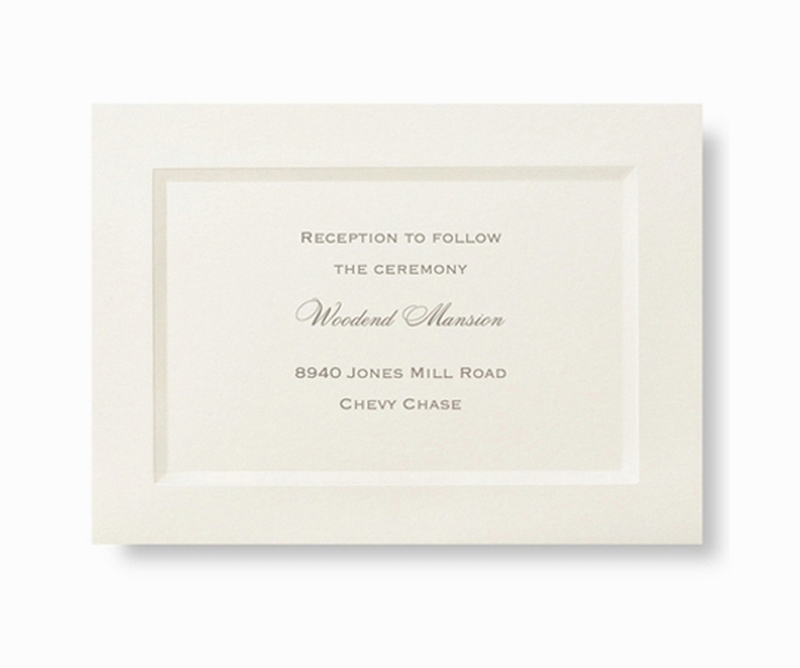 A beautiful choice, shown in two ink colours, thermography printed. 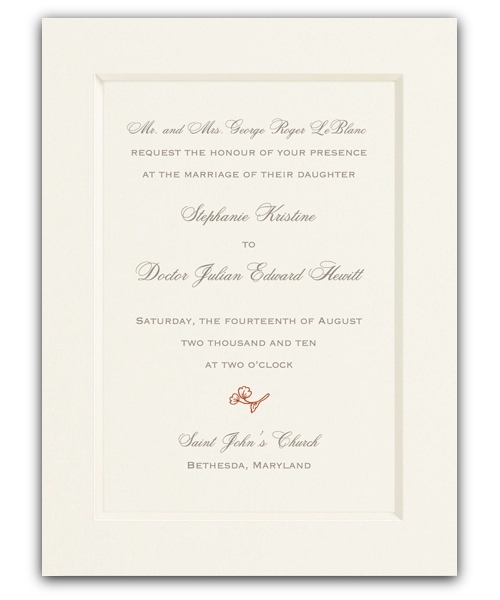 The debossed bevel border frames the text beautifully. 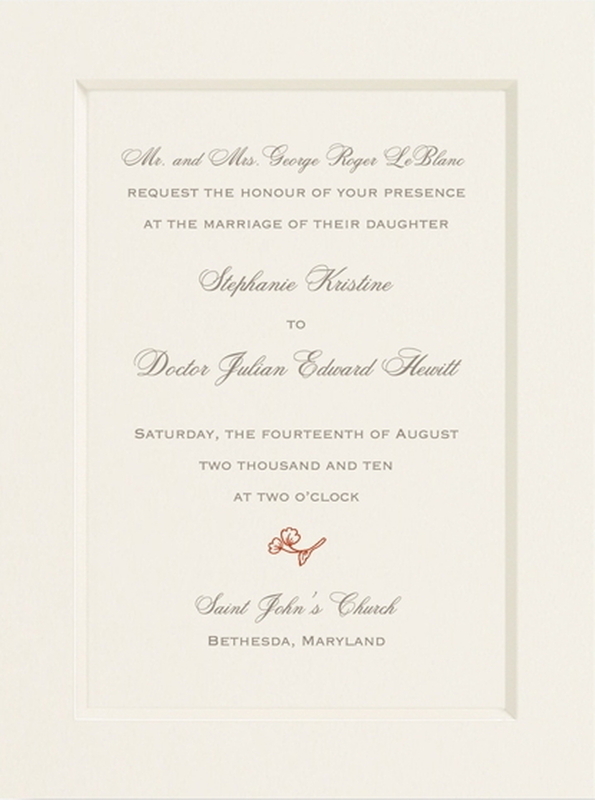 A very classic and simple design, it can be made either modern or keep to tradition with typestyle and motif choice. 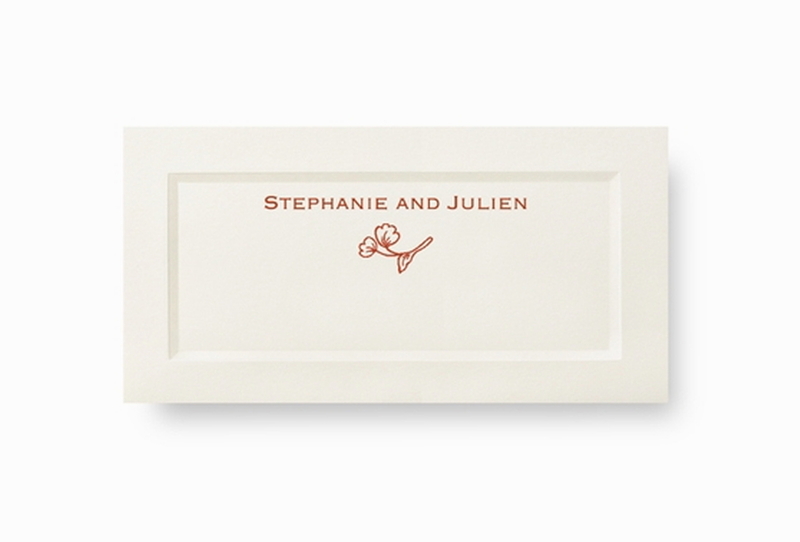 On the image shown the second ink colour has only been used on the motif, while this is a nice design choice, I would usually recommend highlighting the bride and groom names using the second ink colour as an accent colour. 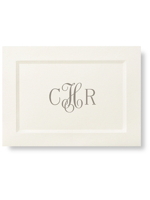 Here in the studio, I have many variations of this card. 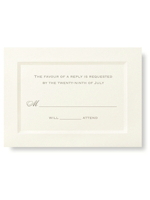 Also available in white paper, it is available with matching reply cards, thank you cards, evening invitation, place cards, etc. 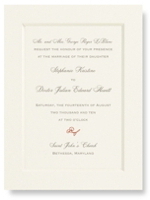 We have an exceptional range of envelope linings to suit your choices of card and ink colours. 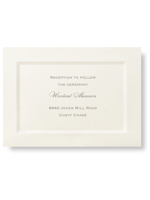 This invitation, printed in a single ink colour, using raised thermography print, including envelope, is available from €220 for a wedding of around 90 to 100 guests. 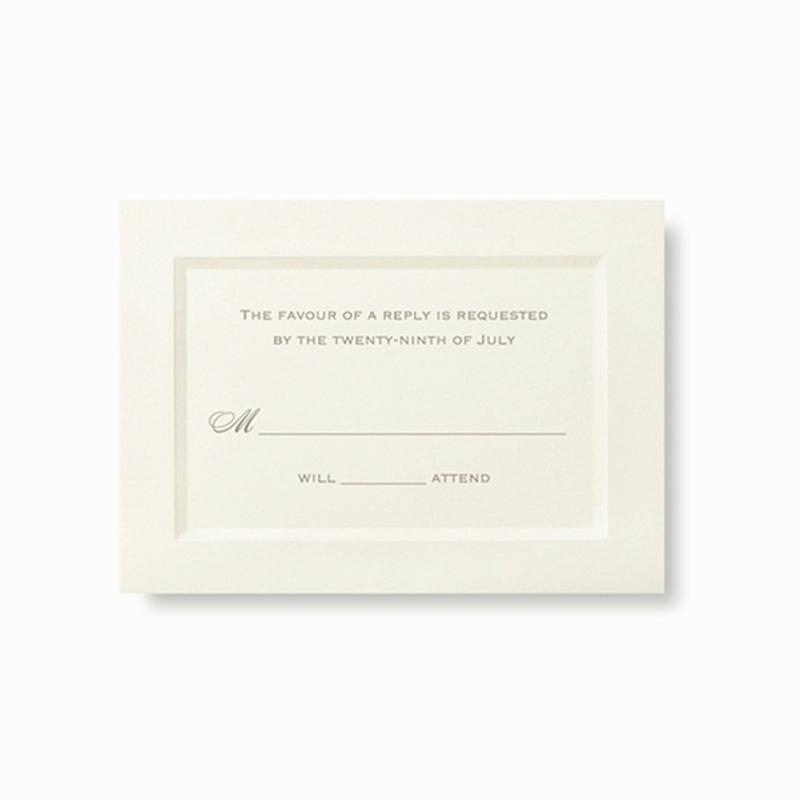 For a wedding of around 100 to 150 guests the price would be €282. 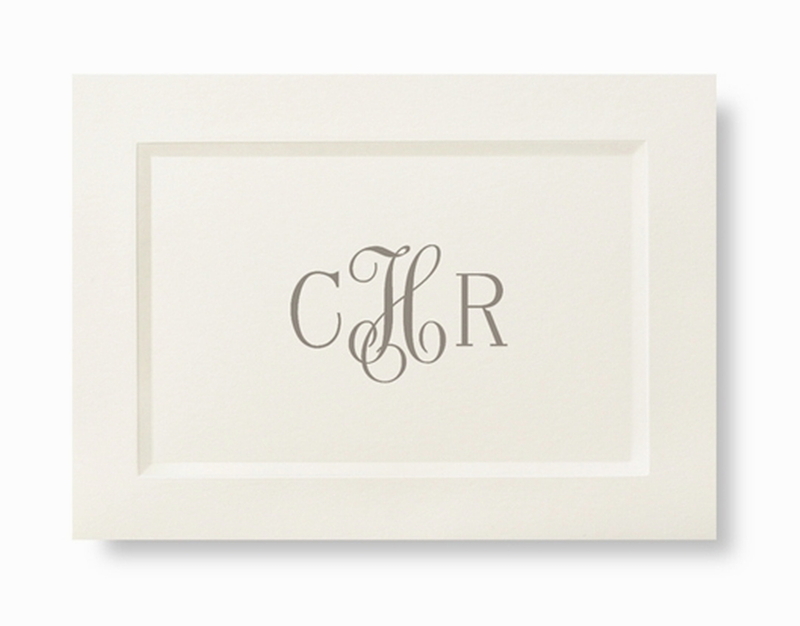 On the main image shown above, the option of printing in raised print with two ink colours has been chosen, using a second raised ink colour like this would add €80 to the cost.